For those suffering from literacy, visual or physical impairments, access to information may seem off-limits. Not so in Allen County, Indiana in the US. The public library has a dedicated department – the Audio Reading Service – that broadcasts local news and other information to help those who are unable to read conventional materials. The department is a lifeline for thousands of people who can’t read independently. The service is supported by volunteers. That means there’s an ever-changing schedule that needs to be maintained and updated. Scheduling 130 volunteers and all the different programs and rooms required for the service is a huge task. Until recently, the team used erasable whilt boards to track everything. “What a nightmare that was becoming,” said Mark Lahey, Broadcast Coordinator of the service. 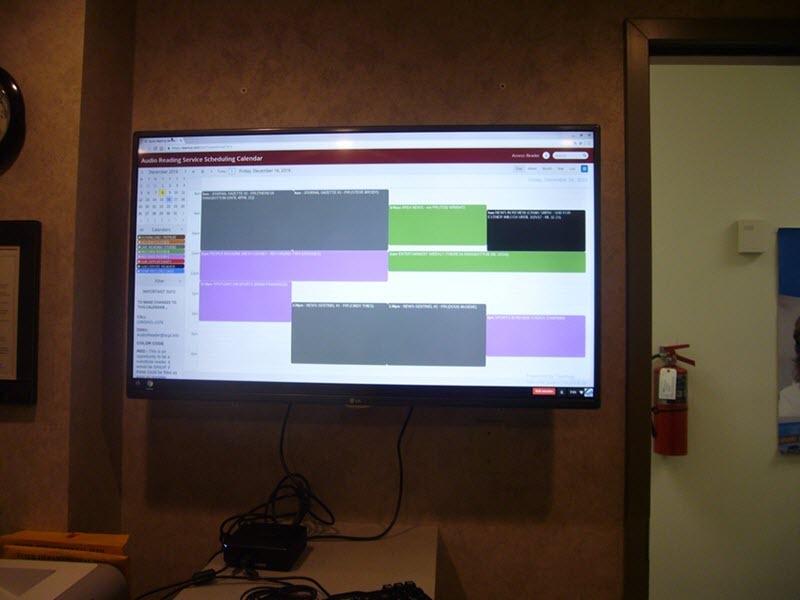 The team created multiple sub-calendars for the main categories of the schedule, including rooms, substitutes and holidays. Whereas before, events could only be scheduled a week at a time, now months of events and recurring events can be set up with little effort. The team is getting used to this new, easier way of scheduling and, as they discover new benefits, “additional uses have been discussed,” says Lahey. The calendar is always up-to-date. When changes occur, it’s easy to update the calendar. All changes are instantly accessible to all users regardless where they are. Categories can be color coded. 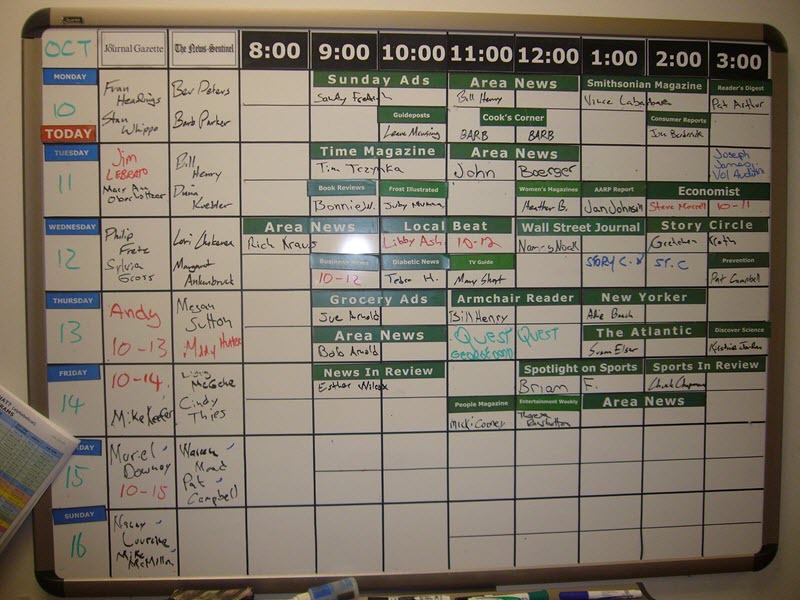 Substitute opportunities are clearly distinguishable from substitute readers while the availability of rooms is all visible right next to the program schedule. It’s easy to share. No user accounts are required. All that is needed to access the calendar is a Web URL that can be opened in any connected web browser. It’s available even when readers aren’t in the library. Thanks to the Teamup mobile apps volunteers are able to access the calendar both on the move and when offline. According to Georgean Johnson-Coffey, Manager, Audio Reading Service, answering questions like “Next week, can I come in Tuesday at 1pm instead of Monday at 10:00am?” just got a lot easier! To learn more about how Teamup Calendar can help you focus on your mission and passion without losing precious time on the administrative tidbits of scheduling, visit our Getting Started page. 8 free demo calendars with premium features fully enabled for you to test drive.